Select a link below to proceed to the login screen. Passwords are required. For Staff only. 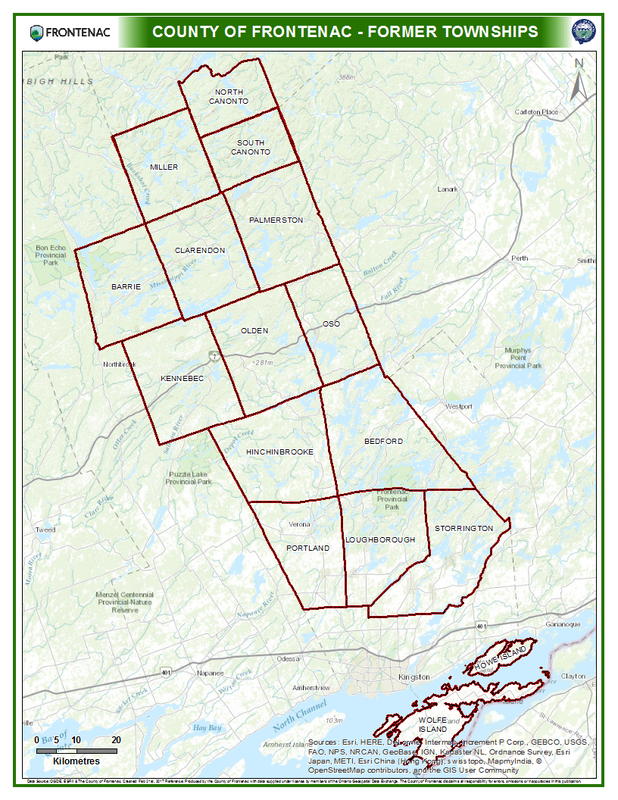 The County of Frontenac provides custom mapping services for unique and challenging projects. Check out ourGIS Fees to determine the cost of our various mapping products and services. To discuss potential projects with our GIS staff please use the contact information found at the bottom of the page. This pdf map shows the County of Frontenac boundary, along with the boundaries of Townships within and surrounding the County of Frontenac. This pdf map shows the County of Frontenac in its location relative to the rest of Eastern Ontario. This pdf map shows distances from the City of Kingston. This pdf map provides directions to the County of Frontenac Office from the 401 Highway. Lots and Concession Map for the geographic township of Barrie, located in Ward 1 of the Township of North Frontenac. Lots and Concession Map for the geographic township of Clarendon, located in Ward 2 of the Township of North Frontenac. Lots and Concession Map for the geographic township of Miller, located in Ward 2 of the Township of North Frontenac. Lots and Concession Map for the geographic township of North Canonto, located in Ward 3 of the Township of North Frontenac. Lots and Concession Map for the geographic township of Palmerston, located in Ward 3 of the Township of North Frontenac. Lots and Concession Map for the geographic township of South Canonto, located in Ward 3 of the Township of North Frontenac. Lots and Concession Map for the geographic township of Hinchinbrooke, Ward 4, of the Township of Central Frontenac. Lots and Concession Map for the geographic township of Kennebec, Ward 1, of the Township of Central Frontenac. Lots and Concession Map for the geographic township of Olden, Ward 2, of the Township of Central Frontenac. Lots and Concession Map for the geographic township of Oso, Ward 3, of the Township of Central Frontenac. Lots and Concession Map for the geographic township of Bedford (District of Bedford) in the Township of South Frontenac. Lots and Concession Map for the geographic township of Loughborough (District of Loughborough) in the Township of South Frontenac. Lots and Concession Map for the geographic township of Portland (District of Portland) in the Township of South Frontenac. Lots and Concession Map for the geographic township of Howe Island in the Township of Frontenac Islands. Lots and Concession Map for the geographic township of Wolfe Island in the Township of Frontenac Islands. Hamlet Map for Ompah, located in Palmerston, Ward 3, of the Township of North Frontenac. Hamlet Map for Plevna, located in Clarendon, Ward 2, of the Township of North Frontenac. Hamlet Map for Arden, located in Kennebec, Ward 1, of the Township of Central Frontenac. Hamlet Map for Mountain Grove, located in Olden, Ward 2, of the Township of Central Frontenac. Hamlet Map for Parham, located in Hinchinbrooke, Ward 4, of the Township of Central Frontenac. 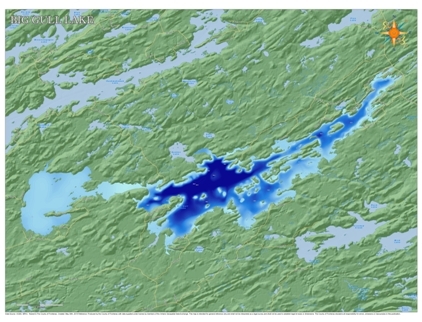 Hamlet Map for Sharbot Lake, located in Oso, Ward 3, of the Township of Central Frontenac. Hamlet Map for Tichborne, located in Oso, Ward 3, of the Township of Central Frontenac. Hamlet Map for Battersea, located in the District of Storrington, of the Township of South Frontenac. Hamlet Map for Harrowsmith, located in the District of Portland, of the Township of South Frontenac. Hamlet Map for Inverary, located in the District of Storrington, of the Township of South Frontenac. Hamlet Map for Sunbury, located in the District of Loughborough, of the Township of South Frontenac. Hamlet Map for Sydenham, located in the District of Loughborough, of the Township of South Frontenac. Hamlet Map for Verona, located in the District of Portland, of the Township of South Frontenac. Hamlet Map for Marysville, located on Wolfe Island in the Township of the Frontenac Islands. Map of Accommodations throughout the County of Frontenac. Map of Ambulance Bases throughout the County of Frontenac. Map of Baseball Diamonds throughout the County of Frontenac. 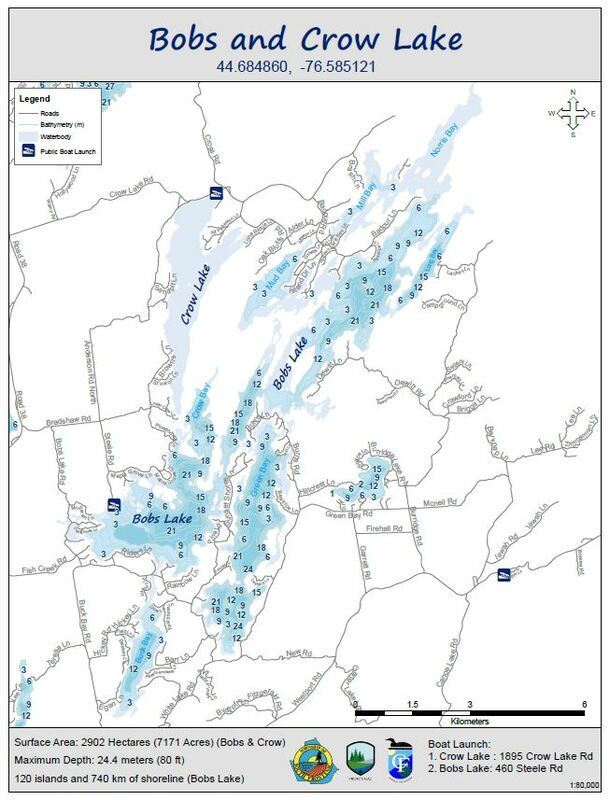 Map of Boat Launches throughout the County of Frontenac. Map of Fire Stations throughout the County of Frontenac. Map of Fuel Stations throughout the County of Frontenac. Map of Golf Courses throughout the County of Frontenac. Map of Libraries throughout the County of Frontenac. Map of Municipal Offices throughout the County of Frontenac. Map of Police Stations throughout the County of Frontenac. Map of Restaurants throughout the County of Frontenac. Map of Schools throughout the County of Frontenac. Map of Waste Sites throughout the County of Frontenac. Map of Local Municipalities within the County of Frontenac. 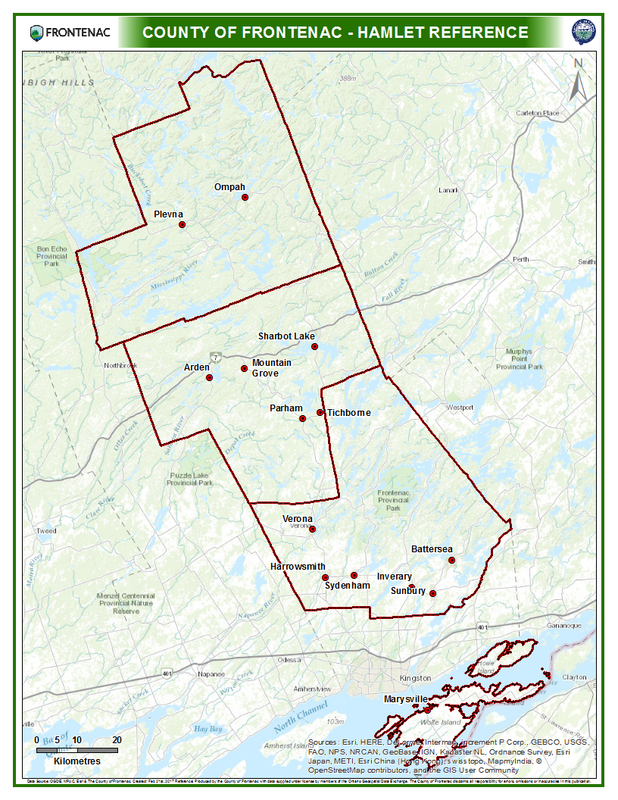 Map of Crown Land coverage throughout the County of Frontenac. 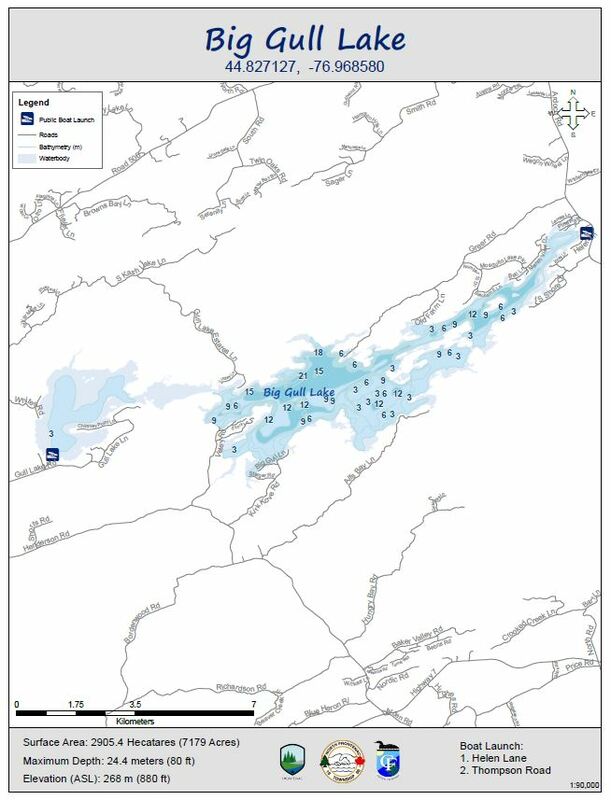 Map of Lake coverage throughout the County of Frontenac. Map of Wetland coverage throughout the County of Frontenac. Map showing the Watershed Planning Approach for the County of Frontenac Official Plan. Map of the Frontenac K&P Trail. Bathymetry map of Big Gull Lake. 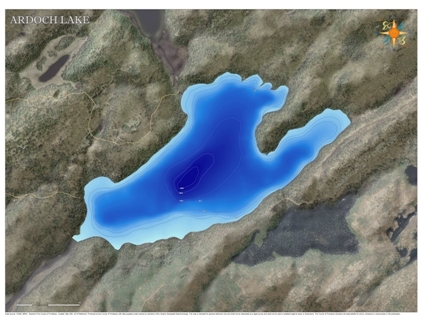 Bathymetry map of Bobs and Crow Lake. Bathymetry map of Sydenham Lake. 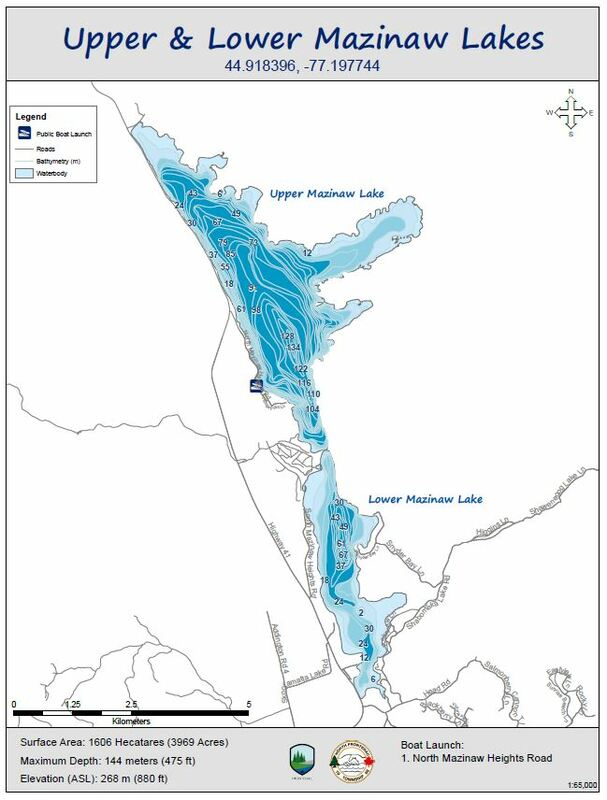 Bathymetry map of upper and lower Mazinaw Lake. View this Video Tutorial, to learn the basics of getting around the interactive map viewers. There is a known issue with Microsoft Internet Explorer 10 which requires enabling compatibility view. To enable this please select Tools > Compatibility View Settings and add this website. Click Add and Close the window. 03/26/19 - Property Fabric has been updated. 02/15/19 - Lake bathymetry maps added to Map Gallery. 01/28/19 - Paddle route guide added as Featured Application. This website is for personal and non-commercial use only. any direct, indirect, incidental, consequential, or punitive damages, or any other losses, costs or expenses of any kind which may arise, directly or indirectly from use of, or inability to use, this Web Site. 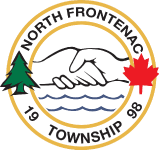 The user knowingly waives any claims for damages against any entities comprising the County of Frontenacs Interactive Map Viewer Web Site that may arise from the mapping data. 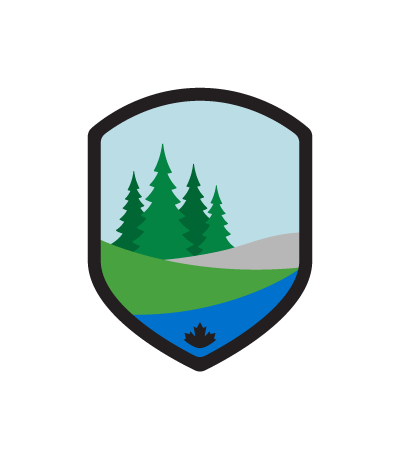 All data, map images and related graphics contained on this Web Site are protected by copyright and remain the property of the County of Frontenac. These maps are intended for general reference only and shall not be interpreted as a legal survey and shall not be used to establish legal lot sizes or dimensions. These maps should not be used for navigation. 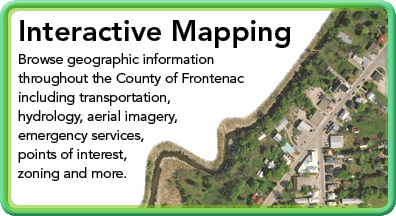 Users may not re-sell, sublicense, or operate a service bureau using the County of Frontenac Interactive Map Viewer, or otherwise reproduce, publish or disseminate the web maps for commercial purposes, without the prior written consent of the County of Frontenac. Includes Material © 2014 of the Queen's Printer for Ontario. All Rights Reserved. 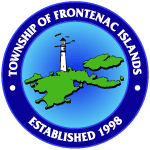 Links within the County of Frontenacs Interactive Map Viewer may allow external web sites to be accessed from this Web Site. These external web site links are provided as a convenience to the end user. The County of Frontenac has not reviewed any of these external web sites and is not responsible for them or their content or any results that may be obtained from using them. 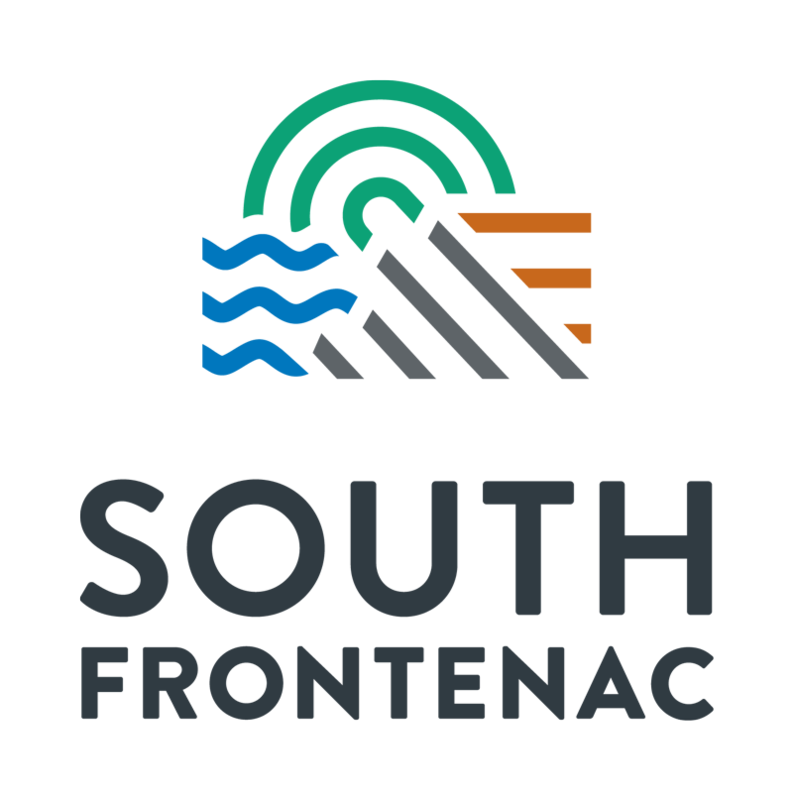 The County of Frontenac does not endorse or make any representations about these external web sites, or any information or products found there. Should the end user choose to access any of the third party web sites linked to this Web Site, they do so at their own risk. The County of Frontenac reserves the right to revise these Terms and Conditions at any time for any reason. The County of Frontenac also reserves the right to make changes to any of the information or services contained on or offered through this Web Site at any time, without notice or obligation. 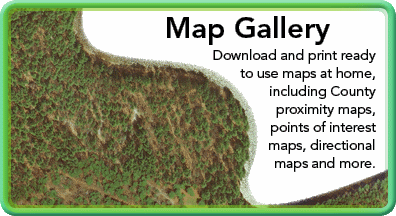 By using this Interactive Map Viewer, the user acknowledges and agrees to be bound by any such revisions. Accordingly, the user agrees to visit this page periodically to review these Terms and Conditions. By using this website you acknowledge and accept these terms.